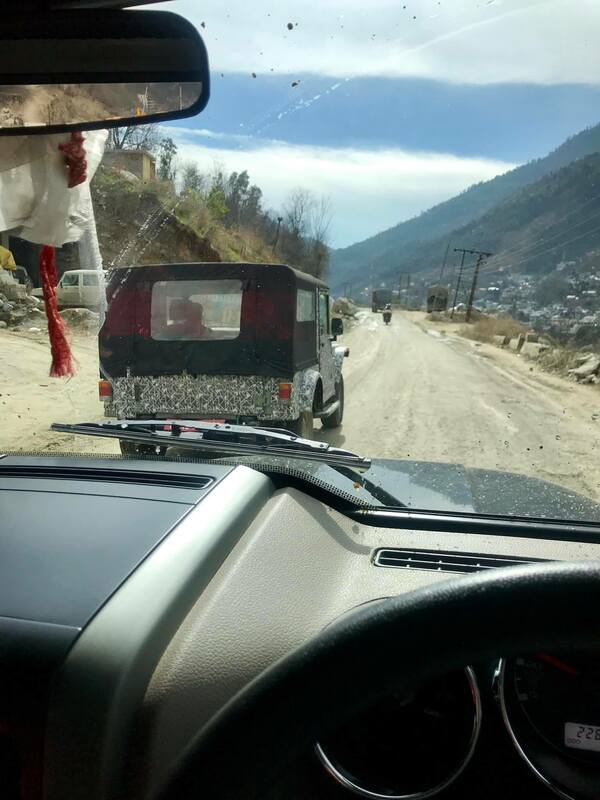 Update: IAB reader Akash Oberoi has spotted the 2020 Mahindra Thar on test in Kullu (Himachal Pradesh). 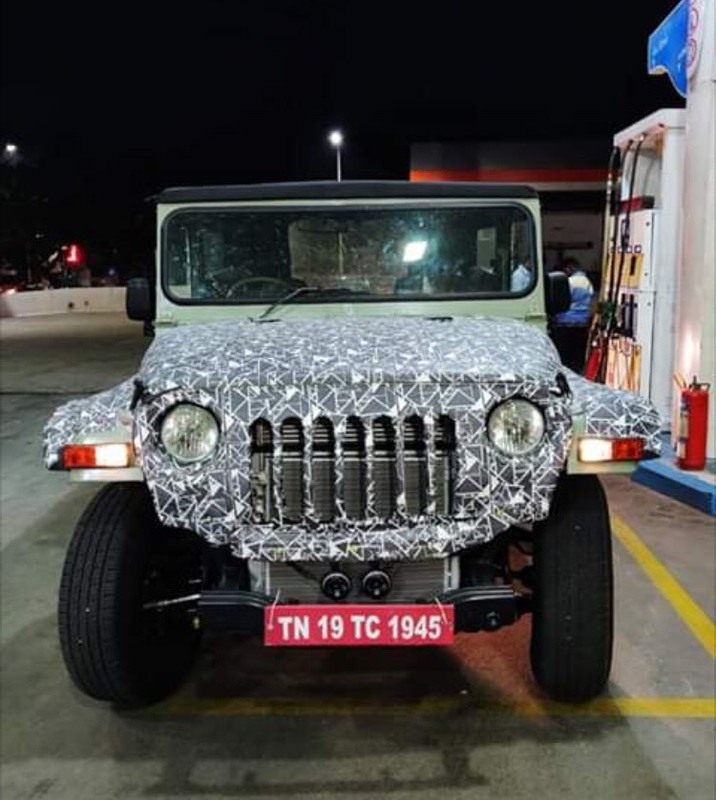 As Mahindra continues testing the next-gen Thar on the public roads, yet another batch of spy shots has surfaced online. These images were clicked by Facebook user Parikshith Mithran. Reports say that the next-gen Mahindra Thar will ride on an all-new platform that will underpin the next-gen Mahindra Scorpio. The next-gen Mahindra Thar looks notably bigger than the current model. The test mule has coil spring front suspension (instead of leaf springs). Its hood and front fenders are set much higher, leaving more room for the wheels. The design, as expected, looks much like that of the current model and that’s probably because it’s an early prototype, though. The final design, although not a major departure, should have inputs from Pininfarina and SsangYong as well. 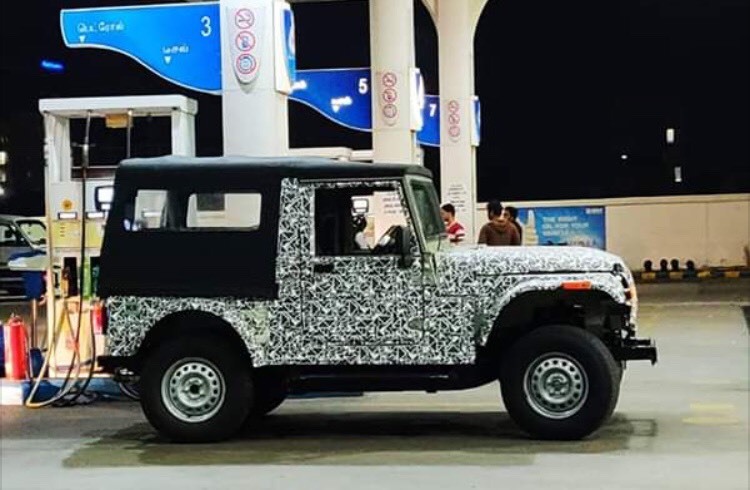 Reports say that the next-gen Mahindra Thar will ride on a newly developed platform. Along with more robust construction, the redesigned model should have several active and passive safety features, such as dual-front airbags, front SBR, ABS, speed warning system and rear parking sensors. Inside, it will feature an all-new dashboard and expect a touchscreen infotainment with GPS navigation and smartphone integration support. Mahindra offers the current Thar with two 2.5-litre diesel engines: M2DICR and NEF TCI- CRDe. The former produces 79 kW (105 BHP) and 247 Nm of torque, while the latter develops 46 kW (63 BHP) and 195 Nm of torque. In the next generation model, it may employ a 2.2-litre mHawk diesel engine. Mahindra may offer the next-gen Thar with a 2.2-litre mHawk diesel engine.